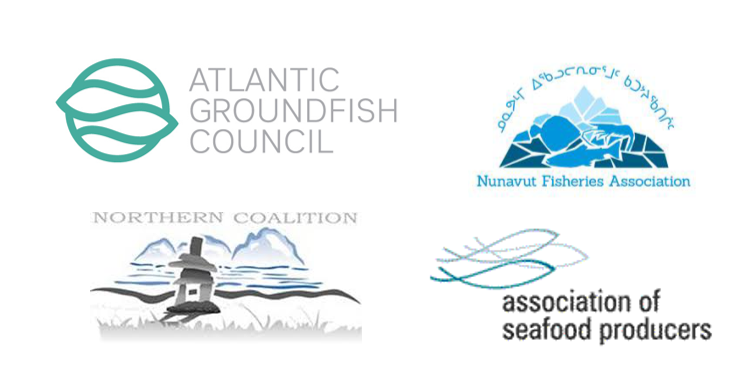 St. John’s, NL, Canada – Today, four leading industry associations announced that Acoura Fisheries will be conducting an assessment of the NAFO areas 0A, 0B and 2+3KLMNO Canadian Greenland halibut (turbot) trawl and gillnet fishery against the Marine Stewardship Council (MSC) standard for sustainable fisheries. An MSC certificate will further demonstrate the commitment of Canadian industry to fisheries sustainability. Certification will support the continued development of premium international markets, building prosperity for the harvesters and the communities they support. With completion anticipated in early 2019, this process will scrutinize all aspects of the fishery to ensure they comply with internationally accepted sustainability principles. Combined, these fisheries account for about 21,500 mt of Greenland halibut quota harvested by Canadian enterprises. The importance of these fisheries and continued demand for certified sustainable seafoods led the four associations, including the Groundfish Enterprise Allocation Council (GEAC), Association of Seafood Producers (ASP), Northern Coalition Corporation (NC) and Nunavut Fisheries Association (NFA), to seek MSC certification. MSC is the most globally recognized program for wild sustainable seafood and meets the highest international requirements for credible certification and ecolabelling programs. “This represents an opportunity to again demonstrate the leading management and harvest approaches used in Canadian fisheries. This fishery has been guided by sophisticated assessment models overlain with the best that Canada has to offer to protect sensitive benthic features while making sure our fishery does not negatively impact other species around it,” said Kris Vascotto, Executive Director of GEAC. NFA is a not for profit corporation established to present a united voice for Nunavut’s commercial fishing industry to regulatory agencies at the territorial and federal levels. Its current membership consists of four Inuit owned companies which hold 100% of the commercial allocations of Greenland halibut (turbot) and shrimp managed through the Nunavut Wildlife Management Board (NWMB). These companies, the Arctic Fishery Alliance (AFA), Baffin Fisheries (BF), Pangnirtung Fisheries/Cumberland Sound Fisheries Partnership (PFL/CSFL), and Qikiqtaaluk Corporation (QC), are owned by the HTOs, communities, and/or Inuit of the Qikiqtani region. The Groundfish Enterprise Allocation Council is a non-profit industry association representing the year-round groundfish harvesters in Atlantic Canada. GEAC contributes to research that will improve the sustainability and management of groundfish fisheries by actively supporting science, sustainability certifications and responsible management. Northern Coalition Corporation is a federally incorporated non-profit organization, consisting of six social enterprise corporations that are either indigenous birthright corporations, pursuant to respective Inuit land claim agreements in Nunavut, Nunavik and Nunatsiavut, or community-based organizations owned predominantly by aboriginal residents in Labrador. Northern Coalition members are deeply committed to ensuring that adjacent marine resources are responsibly and sustainably managed and that the sensitive Arctic Marine ecosystem is appropriately protected. The Association of Seafood Producers is a not-for-profit industry trade association representing seafood processors in Newfoundland and Labrador. ASP works for the betterment of the industry in the areas of public policy, sustainability and fisheries management.